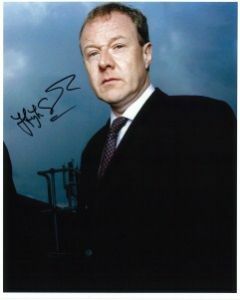 Hugh Simon is a British actor, best known for his portrayal of the character Malcolm Wynn-Jones in the television series Spooks. His other TV credits include Shackleton, Attachments, Cold Feet, North Square, Big Bad World, and "Unusual Suspects" (an episode of Highlander). He has also appeared onstage, as in the 2005 London revival of Epitaph for George Dillon, and in the film Possession.